Lawyers move, retire, and change names, so I need your help with corrections. Look at your listing and send me any needed corrections by fax or e-email on the form provided. 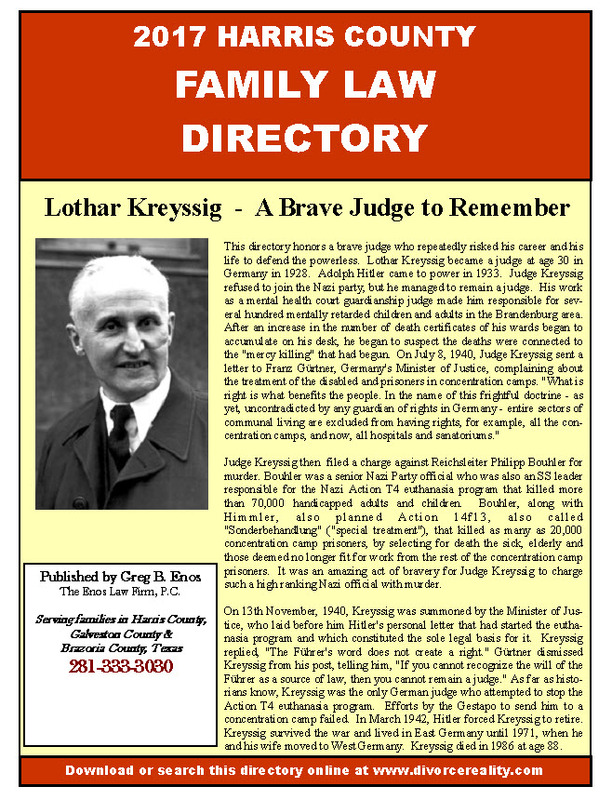 The complete directory will list over 1,300 lawyers and have handy listings of courts in Harris County and surrounding counties, custody evaluators, business appraisers, translators, etc. Please make sure your fellow attorneys are also listed.